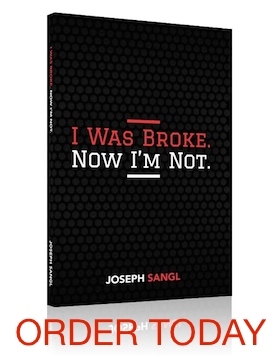 Welcome to the latest series at JosephSangl.com – Get Organized! It is extremely important to have your finances organized. In fact, I believe that lack of organization is one of the top reasons that people do not reach the peak of their financial potential. I am excited about this series especially because we are releasing another FREE tool! There is a free healthcare power of attorney provided by AnMed Health Center HERE. If you have substantial assets (including sizable term life insurance policies), I highly recommend that you meet with an attorney to have them review your documents to make sure everything is well-organized and accurate. Where else have you found great free (or cheap) legal documents? I have found a treasure trove of free legal forms and state specific forms by going to my county library’s website. The forms available range from living wills, various wills for different family structures (i.e. kids, no kids), rental/lease agreements, and bills of sale. Most forms are blank, completely free, and can be printed or saved onto your own computer. The only thing I need to access all these online resources is my library card number and PIN.